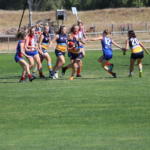 A new season, new coach and new mindset is driving the Murray Bushrangers Girls’ into 2019 as they look to repeat their previous two seasons starts, while finishing the nine-game competition strongly. Helping lead the charge is new coach, Tim Madden – who has taken over from inaugural coach Sam Ahmet – and high performance manager, Aidan Edwards. Bushrangers’ Female Talent Manager, Briana Cossar said the training regime, intensity and extra input from the girls was clear on the track. “We’ve got a new coach, he’s been super,” she said. “We’ve also got a futures coach and a couple of different assistant coaches as well so they fitted right in, and we’ve also got a specific high-performance guy for the girls so between Tim (Madden) and Aidan (Edwards), they do an amazing job. 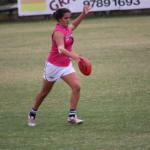 In the inaugural season of the TAC Cup Girls, Murray won all five of its games, but finished second overall given Calder’s percentage was higher, therefore handing the Cannons a maiden premiership. 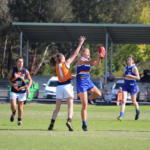 Twelve months later, the Bushrangers started the season with three wins and a draw in the first four games, but slipped in the back-end of the year as the top few sides stood out and Murray finished seventh. 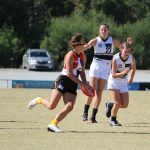 AFL Women’s Academy member, Rebecca Webster was the standout for recruiters landing at Geelong in October’s draft, and has played all three games for the Cats in the AFL Women’s competition this year. 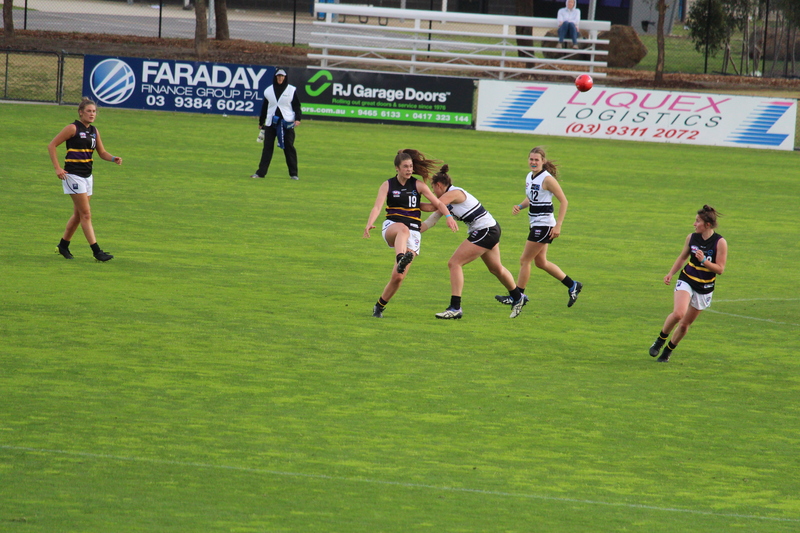 Cossar said Webster showed she belonged after just one game, standing out in Geelong’s win over Collingwood under lights at GMHBA Stadium. 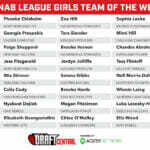 Like any side in the Under 18 competition, Cossar said the club would have loved more draftees but having seen the amount of mature-age talent coming through the draft, knows the draft dream is not lost for the top-age players who missed out last year, with a number of Bushrangers continuing their football pathway in the VFL Women’s competition with Richmond. Looking ahead to 2019, a fellow Bushranger could join Webster at the Cattery at year’s end, with Mille Brown – daughter of Geelong’s Paul Brown – eligible under the father-daughter rule. While Paul played 84 games – not enough to qualify under the father-son rule – the minimum amount for the father-daughter rule is just one game. 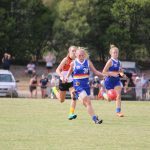 Along with bottom-ager, Olivia Barber, the pair is a part of the AFL Women’s Academy this year. Brown is a versatile utility who would be stationed off half-back or on a wing, while Barber rotated between ruck and forward last season. 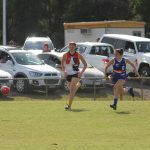 Cossar said the amount of bottom-agers from 2018 that returned for the 2019 pre-season was really promising and testament to the club’s program. It did however leave the coaches and list managers with some tough decisions. The Bushrangers’ Female Talent Manager is not only excited about the year ahead, but the next few years, with glimses of future talent on display at training. 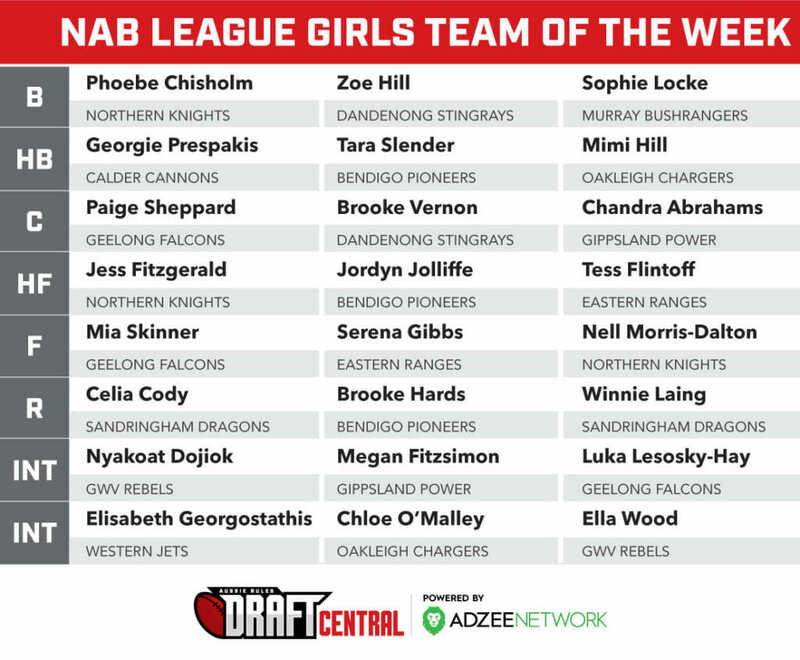 As for those tearing up the track, Cossar named talented forward, Kate Adams, vice-captain Sophie Locke – who played four games in 2018 – and phenomenal athlete, Abby Favell (one game in 2018) as players who have impressed thus far. 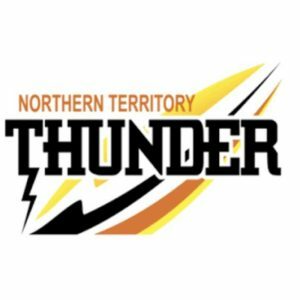 Murray Bushrangers kick off their campaign on March 2 at RAMS Arena against grand finalists, Northern Knights and in the nine game season, face off against every side except Eastern Ranges and Greater Western Victoria (GWV) Rebels.